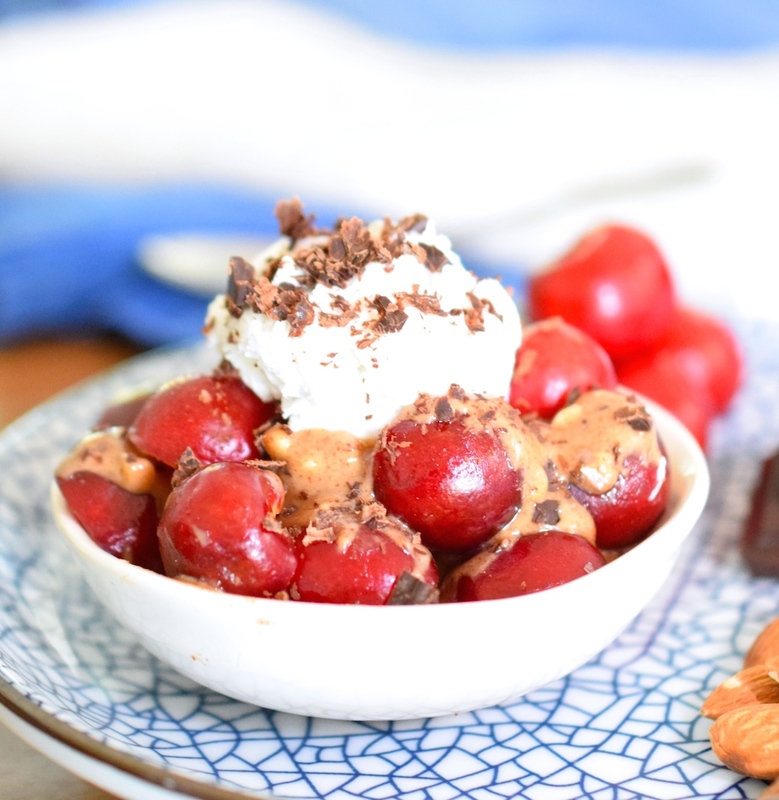 After making a few versions of this snack I’ve realized that in order for it to do “the thing,” the cherries need to be sweet and the almond butter needs to be roasted and salted. Usually I recommend using raw almond butter, because it is a bit better for you than the roasted kind. Raw almond butter is actually sweeter than roasted, so I usually actually prefer the taste, as well. This dish just seemed to need the roasted and salty flavors, though. Don’t worry…although raw almond butter is better than roasted, the roasted is still a healthy snack option, especially for diabetics. Nut butters are high in protein, healthy fat, and minerals. They make you feel full, because they’re high in calories, but they are healthy, low carb calories. Honestly, I think I would wither away into nothing if I couldn’t eat nuts! They’ve replaced a lot of the grains that I used to eat. 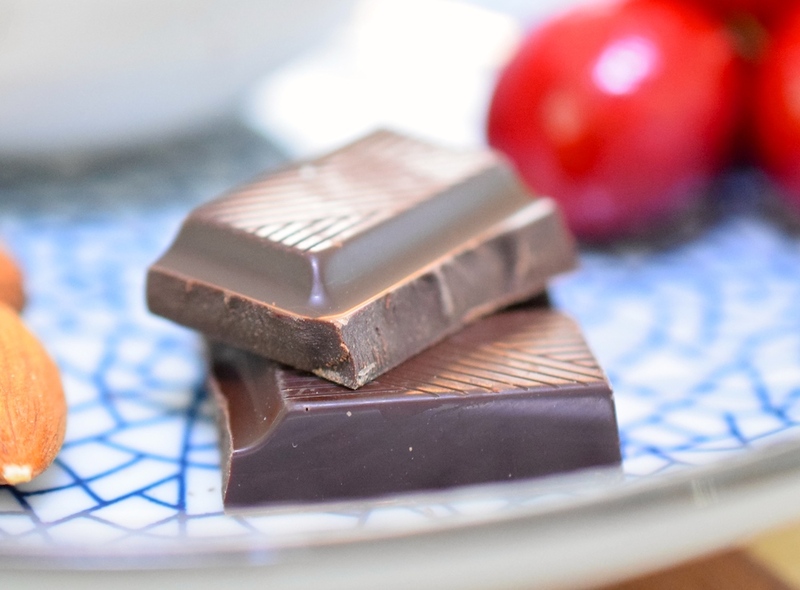 Dark chocolate is another great snack option for diabetics. It is high in fat, which makes the sugar enter your blood stream at a slower rate, and trace minerals, which helps your metabolism run smoothly. Do you ever wonder why women crave chocolate during pms? My nutritionist has told me it’s because they need the trace minerals. You know I’m talking about real chocolate, right…not those milk chocolate candy bars? 70% cocoa is my favorite kind, but sometimes I’ll use the 63% cocoa chips. Of course, cherries do bring some sugar with them, but even diabetics need some sugar to survive. I like it when my sugar comes in a healthy package. Cherries contain anthocyanin, which reduces inflammation and fights disease. 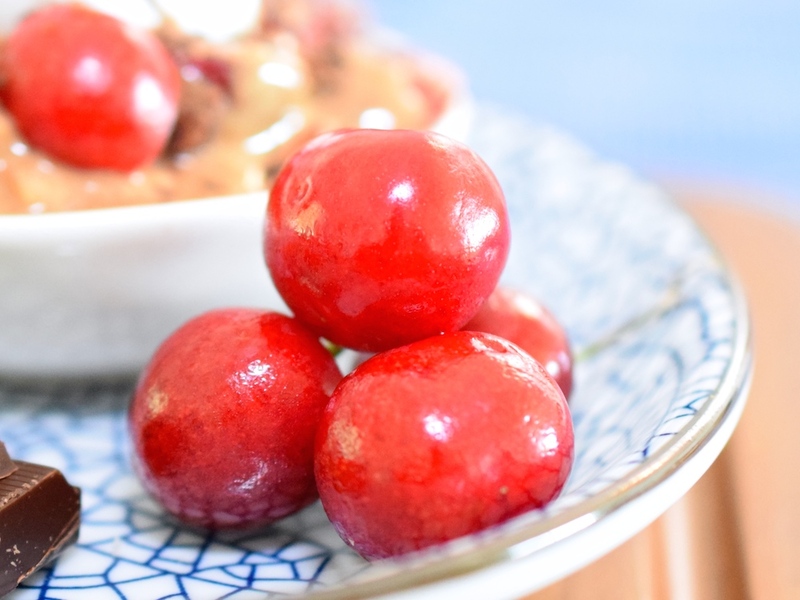 When you eat cherries with chocolate, nuts, and coconut cream, you are presenting your body with a nutritious snack, that will release sugars slowly into your blood stream. Coconut has been shown to help regulate blood sugar levels. Before we get to the recipe for The Best Diabetic Snack Ever (I know it’s probably not actually the best ever…but I enjoyed it a lot! ), I want to invite you to join with others who are making healthy changes. I’d love to walk alongside you in your journey towards wholeness and health! Jesus said, “I have come that they may have life, and have it to the full!” Freedom from food addictions is part of having a truly full life. 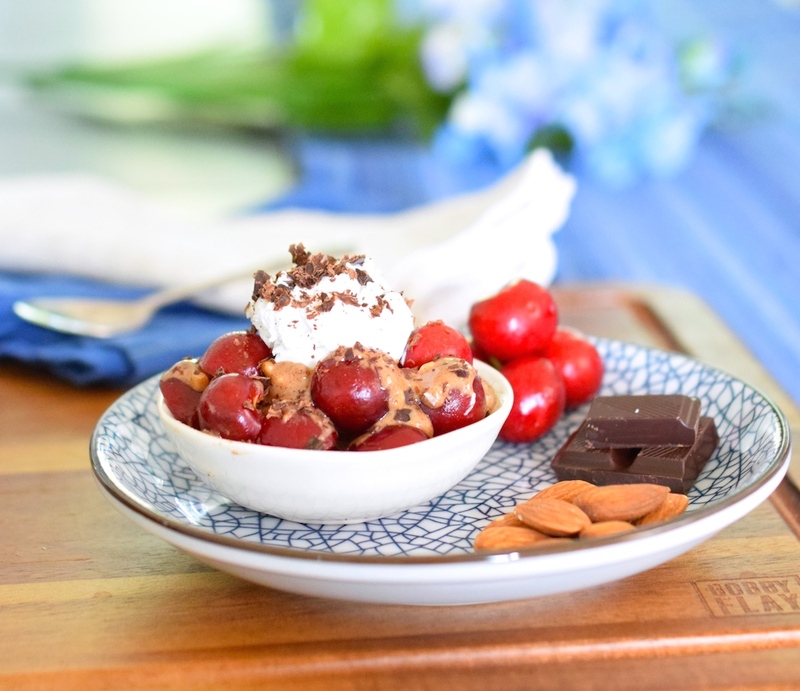 This healthy bowl of cherries will leave you full and satisfy your sweet tooth! It's gluten and dairy free, paleo, and vegan. Combine all of the ingredients and dig in! You can mix them together, or layer them. Whatever looks good to you! Enjoy! 2 Responses to "The Best Diabetic Friendly Snack Ever"